A fun gym program that encourages your child to be enthusiastic about their physical abilities while building their confidence and self-esteem. This curriculum-based gym camp is designed to give your children skills they will need during gym class, playing at recess, and on sports teams. The activities chosen for the camp are based on the Ontario Health and Physical Education Curriculum. The lessons will encourage cooperation and teamwork skills as well as foster physical health, gross-motor development, coordination ability, self-awareness and muscular endurance. 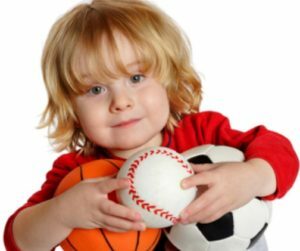 The more exposure and practice children have with balls, the more comfortable and competent they will be when handling balls for play and sport. Being active at Balls of Fun will give children practice with balls and will build confidence. Camp Hours: Tuesday – Friday, from 1:00 p.m. – 4:00 p.m.
Children 4 – 8 years old. 20 children maximum per week. Non-member $100 dollars per week, per child. Annual members $90 per week, per child. Balls of Fun is Canada’s only Ball Gym. 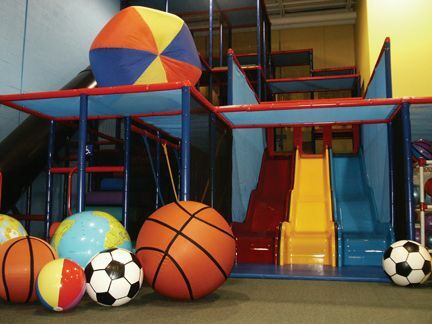 Balls of Fun is designed to be used as a gym/recreation centre for children. This stimulating gym environment is a great place for children to be enthusiastic about being active. The facility is also clean, safe, and air conditioned. Sun screen is not needed at this camp. At the Balls of Fun Camp we want your child to gain more confidence participating in gym class, at recess time, and on sport teams. Having your child active at the Balls of Fun Gym Camp also gives your child practice in listening to activity instructions and following through with the activity and as a team. 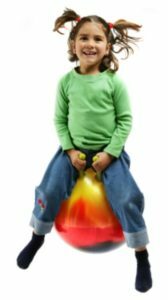 Balls of Fun Gym Camp is an investment in your child’s . . .
. . . need we say more? Our goal is to provide children with an environment that fosters essential physical and social development skills. When these skills are nurtured and practiced, children gain self-awareness and confidence to succeed during play and sport. 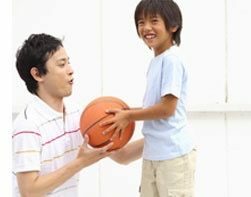 Moreover, an enthusiasm for physical activity, created by learning necessary ball skills, encourages a healthy lifestyle. Being Active + Being Together = Balls of Fun Inc. The summer camp curriculum is comprised of 84 main gym activities. There are also over 50 different warm-up activities and over 50 different cool-down activities. Each week the camp activities vary (including the warm-ups and cool-downs). There will be 10 warm-up activities, 16 main gym activities, and 10 cool-down activities each week. We have incorporated the best gym activities to create the Ultimate Gym Camp Curriculum! Balls of Fun Camp also encourages children to express their opinion about the gym activities. At the close of each camp day, the children vote on their favourite gym activity from the four main activities played that day. The group’s favourite activity is then played and practiced again on the last day of camp. 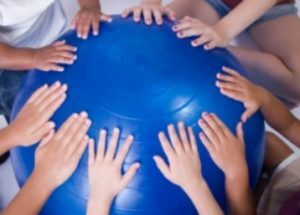 The gym curriculum activities (ball or no ball) are designed to get children moving, thinking, and communicating together. Moreover, we want your child to enjoy participating in physical activity at the Balls of Fun Camp and throughout life.